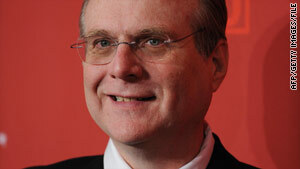 Paul Allen's diagnosis comes two decades after his last cancer battle. (CNN) -- Microsoft co-founder Paul Allen has been diagnosed with non-Hodgkin's lymphoma, more than 25 years after he was treated for Hodgkin's disease, a spokesman at his company Vulcan Inc. told CNN on Monday. Allen, 56, "received the diagnosis early this month and has begun chemotherapy," Vulcan CEO Jody Allen said in a memo to Vulcan employees. The memo was posted Monday evening on CNET's news site. "Doctors say he has diffuse large B-cell lymphoma, a relatively common form of lymphoma," Jody Allen, who is Paul Allen's sister, said in the memo. "This is tough news for Paul and the family. But for those who know Paul's story, you know he beat Hodgkin's a little more than 25 years ago, and he is optimistic he can beat this, too." The memo said Paul Allen is feeling OK, is still working and "has no plans to change his role at Vulcan," which is based in Seattle, Washington. Non-Hodgkin's lymphoma, like the less-common Hodgkin's disease, is a cancer of the lymphatic system. Hodgkin's lymphoma is distinguished from the other by the presence of a certain type of cell. Allen, who co-founded Microsoft with Bill Gates in the mid-1970s, was that company's chief technologist until he left the company in 1983, the year he was treated for Hodgkin's lymphoma, according to the Web site for his Paul G. Allen Family Foundations. In September, Allen ranked 17th in the Forbes 400 list of richest Americans. His net worth was $11.5 billion, according to Forbes magazine. Among Allen's business interests are the professional sports teams he owns, the NFL's Seattle Seahawks and the NBA's Portland Trail Blazers. He also is part owner of Major League Soccer's Seattle Sounders FC. CNN's Katy Byron contributed to this report.